There is no reason great wine can’t go in a can. Right Now allows you the freedom to go anywhere. Right Now is about having what you want, when you want it. Try it on a rafting trip, at the summit of your hike, in the park for a date, or sitting at home listening to your favorite new album. Right Now is also about the freedom to choose. Do you want to drink red wine with your mahi-mahi? Is it 20 degrees out but you want a crisp, minerally white wine? Are all your friends drinking white when you really want rosé? Do what you feel Right Now. Where aren’t you drinking Right Now? What’s the deal with cans? In Right Now Wines all you’ll taste is high-quality grapes. A can is not an excuse to compromise on quality. Will it taste like other canned wine? Great question. It’s the march of progress. Old, engrained, and stodgy beliefs have kept us from putting wine in cans. For decades, winemakers refused to use synthetic corks or screw caps, even though their wine would suffer being “corked.” Who said that this was the only way? 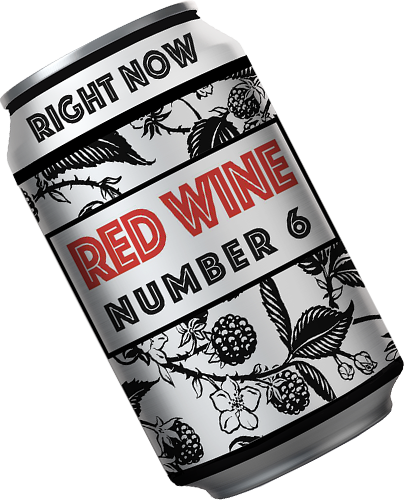 Who told you we couldn’t put great wine in a can? 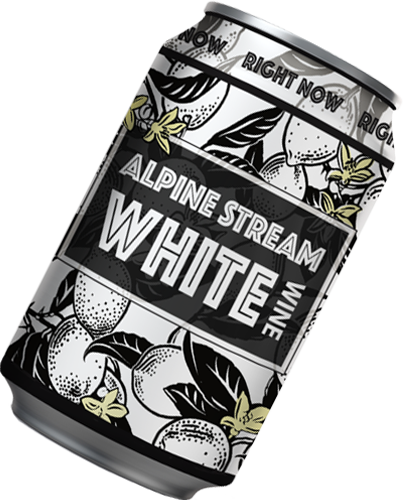 Why are wineries switching to cans? Not only are cans mobile in ways that glass bottles aren’t, cans are much better for the environment. Drink what you want and leave a smaller footprint. What’s the advantage of a can? 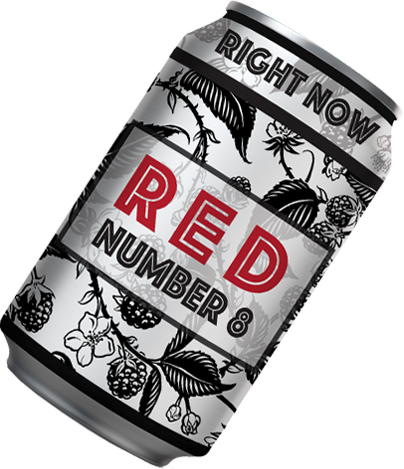 This is the first of our reds, so why Red #8? A trick many restaurants use is to list the wines in order from lightest to heaviest. We are doing the same with our reds. The scale runs from 1-11. 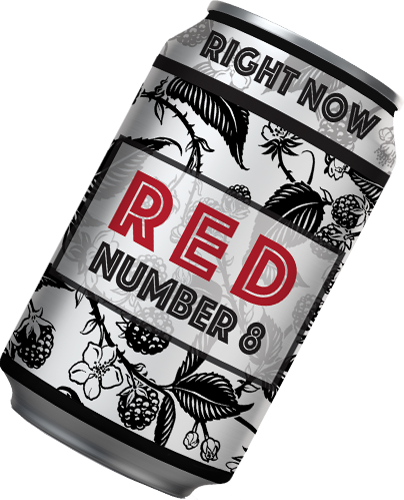 This wine, Red #8, is medium-heavy in body with bright red, brambly fruit and a little spice. 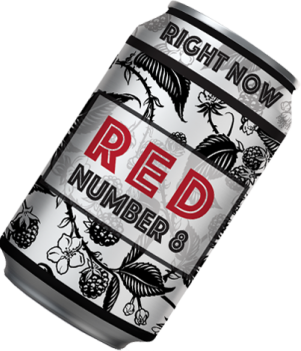 The Right Now Red Number 6 is a delicious and youthful red wine. The elegance of the Dolcetto grape shines through with a deep color and vibrant acidity that play well with the dark red fruit and spice flavors. Notes of boysenberry, raspberry, and plum play off of light hints of black pepper and cinnamon giving that give the wine depth of flavor. 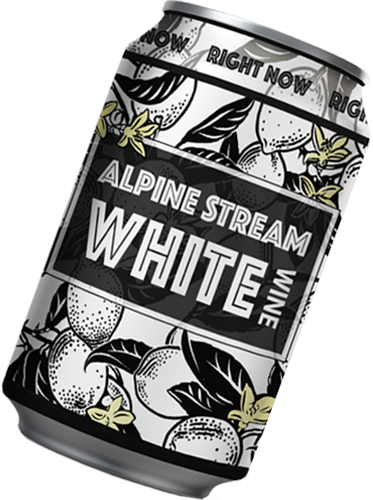 The Alpine Stream White is the most versatile white that we know of. Not only is it in a can that can go anywhere, anytime, but it’s profile is balanced and fresh. We loved the mineral notes that for us evoked the mountains. This is the kind of white wine we want to be drinking at 10,000 feet on the slopes, even in the snow. What can we say about rosé that hasn’t already been said? Yes it’s delicious, yes it goes with everything, yes I’ll have another. The Right Now Rosé is a celebration of innovation and versatility. 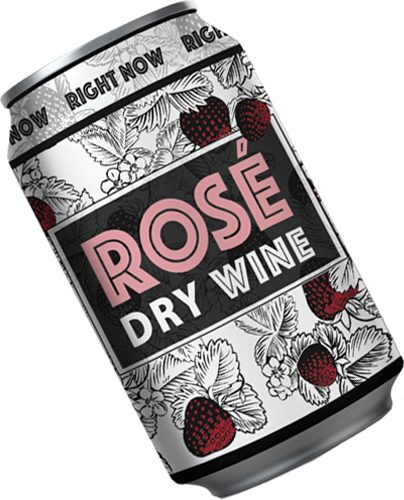 This is the best rosé in a can, period. 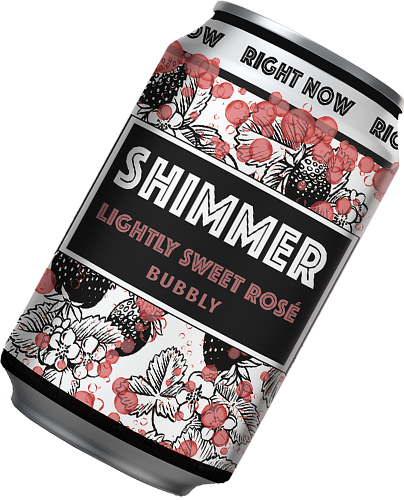 The Right Now Shimmer is a lightly sparkling, sweet treat that's perfect for any occasion. This Rosé is full of ripe fruit flavors, with notes of raspberry and strawberry that mingle with sweet hints of honey and buzz with light effervescence. The purity of fruit and refreshing sparkle make this a fun wine to enjoy anytime. CAN WE BE YOUR FRIEND? Follow us and let's share the can revolution. Have questions or want to sell or buy our great wine. Contact us through one of the ways below. © Right Now Wine. All Rights Reserved.